Keeping your rug clean and smelling fresh requires a lot of work. How often do you vacuum or deep cleanse your rug? No matter how much time you spend cleaning your rug, you will not be able to prevent accidents. Someone might spill a drink on the rug, your puppy might have an accident or someone might track muddy footprints on your rug. If you have a beautiful area rug, you should consider having a professional clean it on a regular basis. This is the best way to get rid of the particles that get trapped under the rug fibers. A professional cleaner will also be able to apply a sealant to protect your rug. Rug protection is an interesting option because it will form a coat over the area rug. Liquid spills will not set in the rug and mud or food will be easier to clean up. This protective coat will keep everything on the surface of the rug, which means you should be able to easily clean spills or accidents without having to worry about stains appearing on your area rug. Rug protection also means that pollen, pet dander, dust mites and other allergens will not get trapped under the rug fibers. This will increase the lifespan of your rug and will contribute to improve the quality of air in your indoors. If you suffer from asthma or if someone in your household has another respiratory condition, applying a sealant over your area rug and on any wall to wall carpeting will really make a difference. The downside of applying this type of protection is that it voids the manufacturer’s warranty. You should check to see if your rug is still under warranty and find out what the warranty covers. Some manufacturers offer to clean or replace your rug if it is damaged or stained while others will not do anything if you spill something on your rug. Having a professional apply a sealant over your rug is definitely worth it since it will increase the lifespan of your rug. It should also help keep the colors of the rug more vibrant, prevent bad odors from setting in and make the rug a lot easier to clean. This is best way to prevent stains, and your rug will look a lot nicer, especially if it is in a high traffic area or if you have a pet or a toddler. 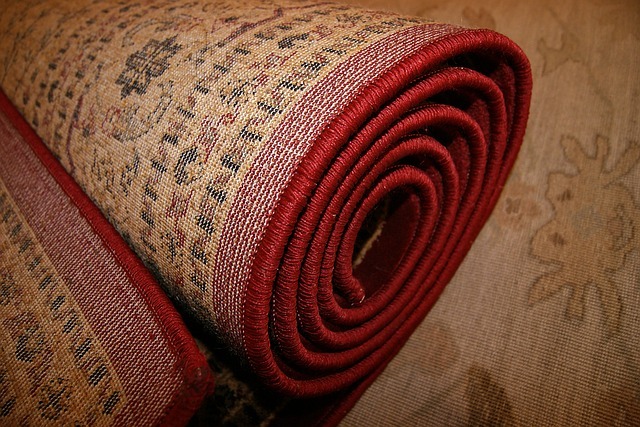 You should contact different rug cleaning services to find out more about the services they offer. They will probably need to know a few things about your area rug since the best protection depends on the material that your rug is made of. Applying a sealant over your area rug is quick and easy and is the best way to protect it. You won’t have to worry about spills, allergens or bad odors and your rug will look a lot nicer. This will make your rug last longer and you should spend less time cleaning it once the sealant is applied. 1 response to Do You Need Rug Protection?